You may be surprised to learn that reactions to MSG are not truly allergic. Instead, reactions to MSG may be caused by toxicities to the nervous system or even by an irritant effect on the esophagus—although, experts have not teased this all out yet. Still, while studies have not proven that MSG causes severe allergic reactions (such as anaphylaxis), a person with reactions to MSG should attempt to avoid this food additive and be prepared to treat a severe reaction should one occur. MSG, or monosodium glutamate, is a flavor enhancer comprised of the sodium salt of glutamic acid. More specifically, MSG is a naturally occurring amino acid that is produced by fermenting starch, sugar beets, sugar cane, or molasses, a process similar to that used to make yogurt, vinegar, and wine. MSG is found naturally in many foods, including seaweed, tomatoes, and cheese, as well as many canned vegetables, soups, and processed meats. Because there is very little evidence that a true MSG allergy exists, the Food and Drug Administration (FDA) has classified MSG as an ingredient that's "generally recognized as safe." However, because its use has historically provoked controversy, the FDA requires food labels to list it as an ingredient. Although, one caveat worth mentioning is that foods that naturally contain MSG do not need to list MSG as an ingredient, although the product label cannot claim "No MSG" or "No added MSG." 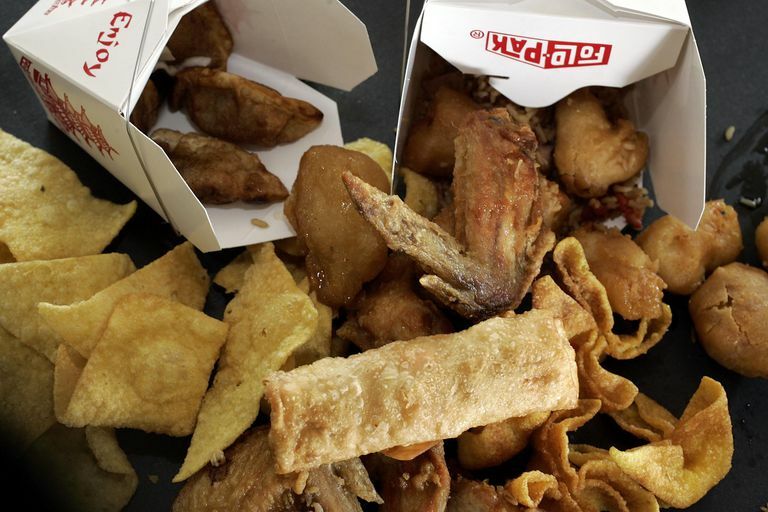 The Symptoms of MSG "Allergy"
Many people describe adverse reactions after consuming MSG, commonly (and pejoratively) referred to as “Chinese Restaurant Syndrome” because MSG has traditionally been used in Asian cooking. But the truth is that most people who are affected will experience only mild and short-lasting symptoms right after eating foods containing MSG. However, despite widespread anecdotal evidence that some people experience these reactions, studies on MSG have not demonstrated a clear cause-and-effect relationship. In fact, only a few studies have shown that mild reactions may occur after large amounts of MSG is consumed. In other words, the threshold for symptom development is typically far above what would be consumed during a normal meal that contains MSG. Finally, it's interesting to note that in addition to these symptoms, MSG intake has been linked to specific health disorders. For instance, research exists that glutamate levels are high in people with migraines and tension-type headaches. Some experts have also linked high muscle glutamate concentrations with certain chronic musculoskeletal pain disorders like temporomandibular disorders—although, research on this phenomenon has not panned out much. Lastly, blood pressure has been shown to increase with MSG consumption. But this rise in blood pressure is short-lived and occurs with high MSG intake. Because sensitivity to MSG is not generally accepted as a true allergy, there is no test available to determine whether you are sensitive to it. For example, skin tests and blood tests are not available as they are with other food and environmental allergies. While it is possible to perform an oral challenge to MSG, this is not done very often. Staying away from MSG is the only preventative measure you can take to avoid a reaction The good news is that FDA labeling requirements make it easier to avoid foods that contain MSG, but eating in restaurants may prove to be trickier. Also, remember, while food labels must list it as an ingredient if MSG is added to that food, naturally occurring foods with MSG (for example, tomatoes) do not need to list it. Despite the popular belief that MSG is an allergy, or that it's even linked to a reaction, there is really no good scientific data to back this up. That said, sometimes misconceptions exist for a reason, meaning there is likely some truth underlying the MSG phenomenon, and we simply have not figured it all out yet. In the end, this may be a situation where you follow your gut instinct. If foods containing MSG give you a headache or other unpleasant symptom, by all means, avoid it. On the same token, if you do accidentally ingest MSG, be kind to yourself. Next time, try to take a closer look at the label or ask specifically about MSG if you are in a restaurant. Obayashi Y, Nagamura Y. Does monosodium glutamate really cause headache? : a systematic review of human studies. J Headache Pain. 2016;17:54. Shimada A et al. Differential effects of repetitive oral administration of monosodium glutamate on interstitial glutamate concentration and muscle pain sensitivity. Nutrition. 2015 Feb;31(2):315-23. U.S. Food and Drug Administration. (2012). Questions and Answers on Monosodium glutamate (MSG).